With Christmas fast approaching, making sure your home is safe and secure must be a high priority over the next few months. 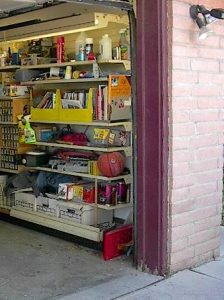 It only takes a matter of minutes for an intruder to enter your garage and home, stealing whatever they can carry. A homeowner can significantly reduce their chances of becoming a victim by closing and securely locking all entry points to the house. Leaving your garage door open or unlocked is an invitation for burglars to trespass onto your property and no area is completely safe. Although it may be obvious, it cannot be stressed enough how important it is to make sure you have securely closed the door. 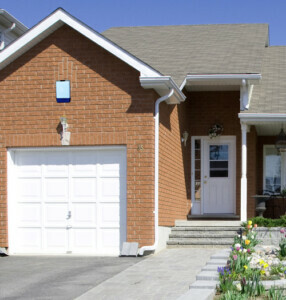 Extend your house alarm to your garage or have a new one installed in the property to deter intruders. As the alarm sounds, the chances of potential burglars continuing to break into your garage are significantly lowered, and those who do fancy their chances will get away with a lot less! You can also startle thieves with motion detector lights as they will be far more hesitant to force open a door when they’re working under an intensely bright light. No matter what garage door design you have, there are an extensive range of additional locks available on the market today designed to withstand forced entry for extra protection. 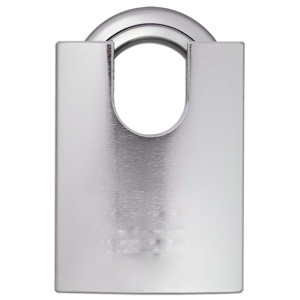 A ‘closed shackle’ padlock design is an excellent security solution as it can stop thieves with bolt cutters or crowbars from gaining entry. There are also garage door defenders available which have been specially designed to withstand any tampering. They are formed of a large arm that is placed in front of the door and locks to a concrete base using a heavy duty padlock. Surprisingly, a considerable number of homeowners leave their damaged doors unrepaired which not only renders them unusable, it also leaves valuable contents unprotected. It is essential to carry out regular maintenance on the mechanical parts of your garage door, checking for any corrosions as this will wear vital components down. Years of continuous use, accidental bumps and criminal damage can cause you to need the expertise of a professional garage door repairs company. If you are searching for first class garage door repairs, look no further than the services we offer here at Wessex Garage Doors. Your safety is an absolute priority for us, so one simple call to us is a step closer to a functional, safe garage door. Don’t hesitate to get in touch with our friendly team today for further information – 0800 9981 376.